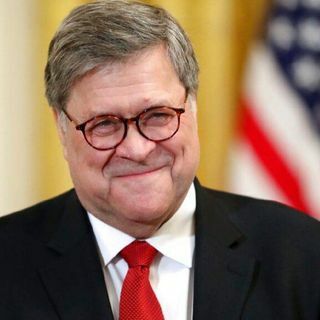 BARR EXAM: Attorney General William Barr is expected to be grilled by Democratic lawmakers about his plan to release a redacted version of the Mueller reportinstead of the full report, to the public and will likely have to defend his handling of the special counsel's Russia investigation when he appears on Capitol Hill in the first of two days of ... See More testimony on Tuesday ... Barr will first testify before the House Appropriations Commerce, Justice, Science, and Related Agencies Subcommittee, whose panel consists of seven Democrats and four Republicans and is chaired by Rep. José Serrano, D-N.Y. On Wednesday, Barr will be on the hot seat before a subpanel of the Senate Appropriations Committee, chaired by Sen. Lindsey Graham, R-S.C. Lawmakers may also question Barr about the Justice Department's legal challenge to ObamaCare. Sen. Chuck Grassley, R-Iowa, said Monday that Democrats pushing for the release of Mueller's full report should also insist on making public all information related to the Justice Department's investigation into Hillary Clinton's use of a private email server while secretary of state and other controversies dating back to the Obama administration THE ROOT OF THE IMMIGRATION CRISIS: Now that Kirstjen Nielsen is out as Homeland Security Secretary and President Trump has replaced her with a "tough cop" in U.S. Customs and Border Protection (CBP) Commissioner Kevin McAleenan as acting secretary, there is debate over whether the shakeup will make any difference is combating the illegal immigration crisis at the border ... On "Special Report" Monday, the Federalist's senior editor Mollie Hemingway noted that while Nielsen stepped down, the problem wasn’t her performance of her job but the performance of Congress and its inability to address policies that “incentivize” human trafficking. NUNES TARGETS NEWS AGENCY: House Intelligence Committee ranking member Devin Nunes filed a $150 million lawsuit against the McClatchy Company and others on Monday, alleging that one of the news agency's reporters conspired with a political operative to derail Nunes' oversight work into the Hillary Clinton campaign and Russian election interference ... The filing, obtained by Fox News, came a day after Nunes, R-Calif., revealed he would send eight criminal referrals to the Justice Department this weekconcerning purported surveillance abuses by federal authorities during the Russia probe, false statements to Congress and other matters. In March, Nunes filed a similar $250 million lawsuit alleging defamation against Twitter and one of its users, Republican consultant Liz Mair. RUSSIA COLLUSION TRUE BELIEVER JOINS CROWDED 2020 DEM FIELD: Rep. Eric Swalwell, D-Calif., an outspoken critic of President Trump, officially entered the 2020 White House race during his Monday appearance on “The Late Show with Stephen Colbert"... The 38-year-old four-term congressman is a member of the House Judiciary Committee and the House Intelligence Committee, which for years has made headlines over its investigations of Russian influence in U.S. elections and federal surveillance.